The Bank of Ireland logo will not adorn the jerseys worn by the Munster players as they lock horns with Racing 92 at Thomond Park this evening. The sponsor's have opted to have their name replaced by the logo for the Irish Heart Foundation in memory of the late Anthony Foley. Munster will also hold a one minute round of applause in memory of their two-time Heineken Cup winning captain before the game. Foley passed away last year in his sleep after suffering a heart attack on the eve of Munster's Champions Cup opener against Racing 92. Former teammate David Wallace wrote in his column in the Irish Independent that a lot of former Munster players will be in attendance at today's game and that the players need to feed off the energy of the crowd. 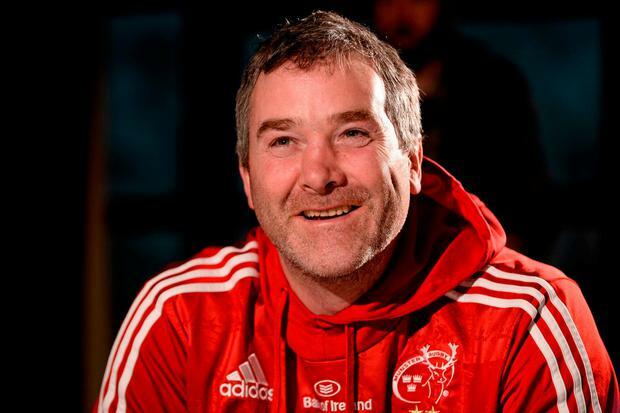 "A lot of the past players will be in attendance at Thomond Park for the game and we will all be remembering Anthony in our own way this week," wrote Wallace. "This time last year the team responded brilliantly to the adversity surrounding the day after his funeral and all of the emotions that went with that. "It would be amazing if they could conjure up another performance like that - the players need to feed off the energy of the crowd and once again, play like Anthony wanted them to play."